Herb is an attorney by education and very proud to be a financial advisor by profession. He heads up Estate and Business Planning for Baystate Financial. in Boston where he provides custom case design and is also available on a consultation basis. He has been actively involved in the financial services industry since 1973. Herb is on the faculty at Bentley University in Waltham, MA. Mr. Daroff graduated from Drexel University with a B.S. in Commerce and Engineering in 1975, and Temple University - School of Law with a J.D. in 1979. Herb is very active in volunteer efforts in his community and the financial services industry. 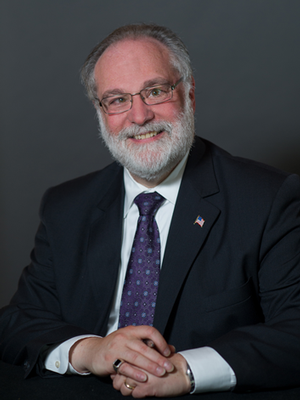 He is Past President of the Greater Boston Chapter of the International Association for Financial Planning (IAFP, now the Financial Planning Association, FPA) and served as a member of the national IAFP Ethics Committee. Herb’s creativity, experience, and resourcefulness enable him to work very well with clients and their professional advisory team in order to implement responsive solutions for financial objectives. Baystate, its agents, and representatives do not provide tax and/or legal advice. *Not practicing on behalf of MML Investors Services, LLC or its affiliates.